Ark Country Store in Midlothian, TX and Waxahachie, TX are closed in observance of Thanksgiving Day on Thursday, November 22nd, 2018. We hope you enjoy the day with family and friends. Shop local at Ark Country Store for Black Friday, November 23rd and Small Business Saturday, November 24th. Follow us on Facebook to keep up with our Specials and for great gift ideas. 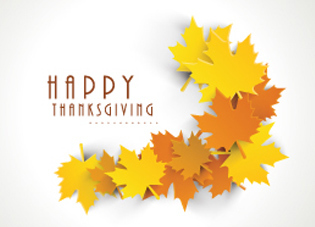 This Thanksgiving, we are thankful for our wonderful customers. Thank you for making Ark Country Store your shopping destination for feed, pets, hunting products, clothing and much more. Find all your gifts at Ark Country Store this holiday. This entry was posted on Thursday, October 25th, 2018 at 3:49 pm	and is filed under Events, News & Updates. You can follow any responses to this entry through the RSS 2.0 feed. Both comments and pings are currently closed.